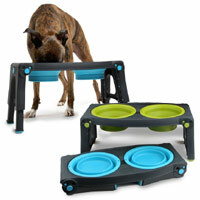 A selection of raised and double dog feeders. A raised dog bowl can help ease the strain on your dog's neck while they eat, aiding digestion and a more comfortable eating position. 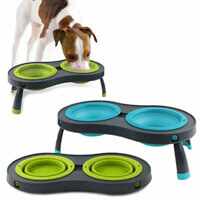 Helps them to easily reach the inside of their bowl, all the way down to the last morsel. 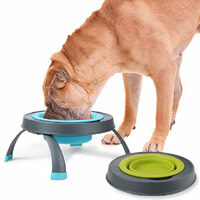 An elevated feeder at your dog's chest height makes for a more comfortable eating position.